Kyozou is the best multi channel selling platform on the market utilizing the exclusive Kyozou Multi Channel listings management and selling tool ‘Multi-Lister’. With this, you are able to maximize your online marketplace sales opportunities and increase your exposure by having your listings quantity synchronized across multiple marketplaces. Selling through the ‘Multi-Lister’ module is one of the most efficient and profitable ways of selling your inventory whilst minimizing the amount of work needed to keep your quantities accurate across multiple channels making Kyozou the #1 multi channel listing software. With Multi Lister you can simultaneously manage all of your ecommerce listings from one module. 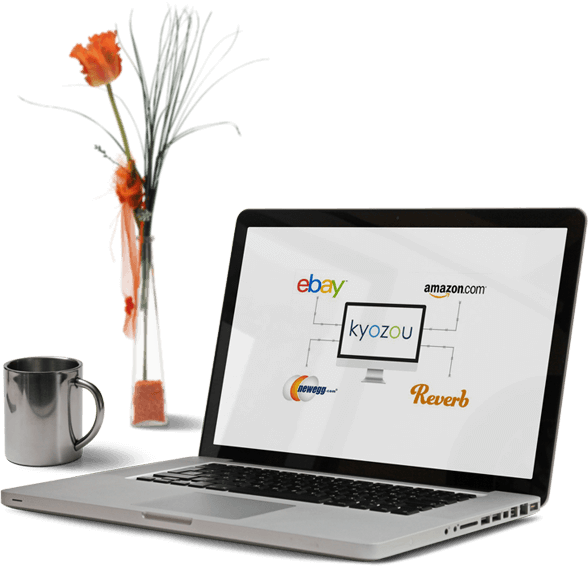 Listings management allows you to list to eBay, Amazon, Newegg and a Kyozou Webstore simultaneously. As items sell, Kyozou will automatically adjust the quantity across all marketplaces. Use our point of sale system to create orders and take payments for brick and mortar sales that instantly adjust your live listed quantity.